We strayed from the highway to drive through the town of Marquette (Michigan). We stopped by the harbor to puzzle over a large metal structure that stuck out into the water. 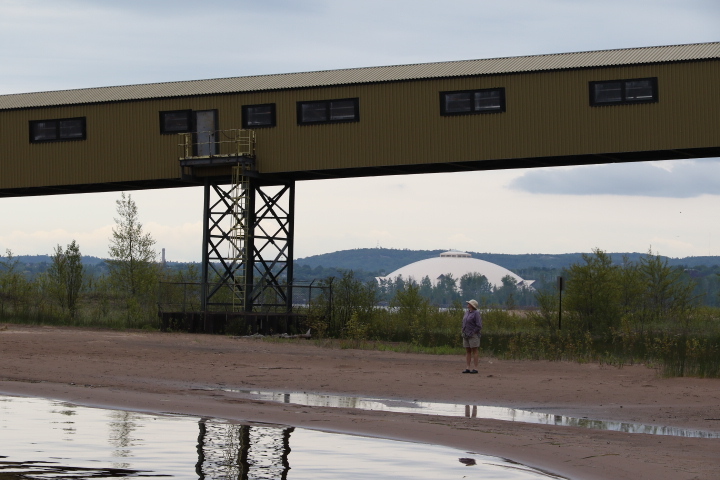 A kindly couple of Yoopers explained to us that the structure was a retired railroad tressle. 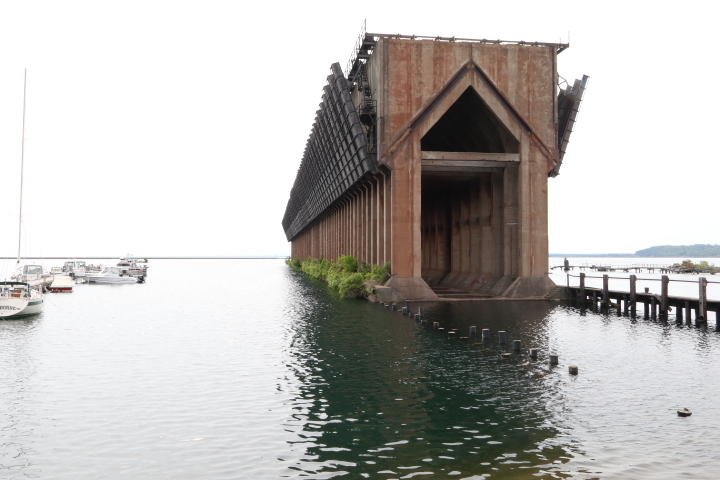 The train would pull ore cars out over the water, where a cargo ship would dock beneath, to collect the ore. 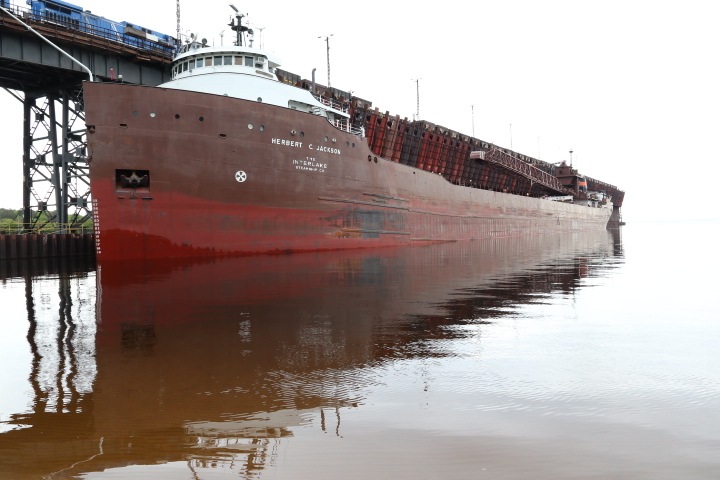 So we drove around the shoreline and came to another of the behemoths, just as a ship was pulling in to be loaded. We parked and watched the process for awhile. 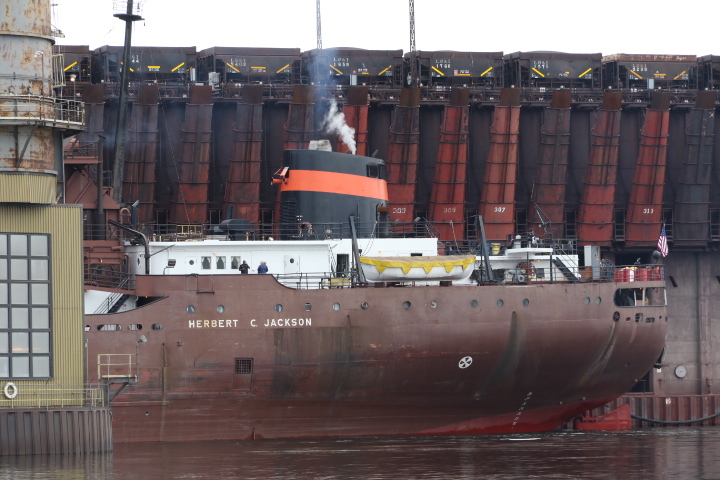 We never did see the part where they lowered the chutes and dropped the ore into the hold of the ship. We also saw a 28-ton hunk of copper (the largest glacial copper in the world) along the drive.